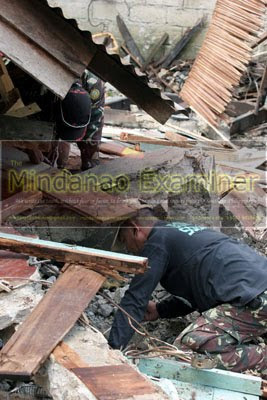 BASILAN, Philippines (Mindanao Examiner / Apr. 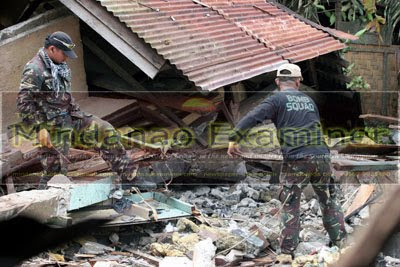 10, 2011) – Suspected Abu Sayyaf militants detonated a powerful bomb at a lodging house in the restive province of Basilan where security forces are fighting terrorism. Two more improvised explosives have been recovered since Saturday in Lamitan and Isabela cities which had been targeted in the past by militants with links to al-Qaeda and Jemaah Islamiya. Military agents said a woman was taken into custody for questioning in connection to the attack. And another man who is believed to be her accomplish is also being sought for by soldiers. Police said an improvised bomb was defused Sunday in front of the Lamitan Central School. Another explosive planted near the Sofia hotel in Isabela City had been disarmed late Saturday, minutes after a bomb went off inside one of the rooms at the Spasky lodging house in Lamitan. 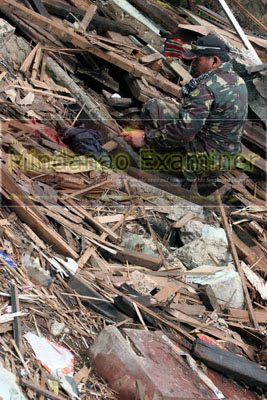 “It’s good that we have discovered the IED,” said Chief Inspector Edwin Placio, the local police chief. He said the improvised explosive was made from ammonium nitrate and mixed with fuel oil, the same ingredients the bombed used in the attack on the lodging house. 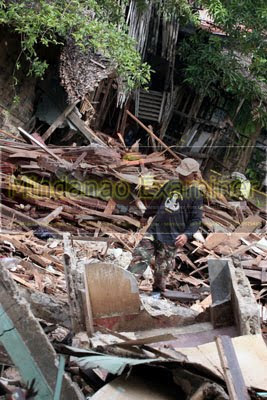 Although there were no reports of casualties, the bombing destroyed at least two more houses near the rooming house. The motive of the attack is still unknown, but police said it could be retaliation to the ongoing military operations against the Abu Sayyaf in Basilan and Sulu province. 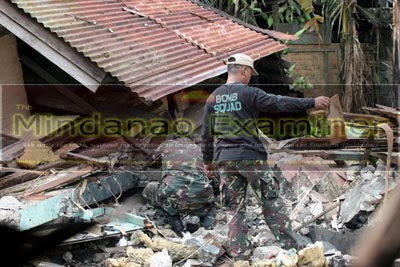 No individual or group claimed responsibility for the attack, but previous bombings in Basilan had been largely blamed to the Abu Sayyaf which is still holding a Chinese-Filipino trader Larry Tam delos Santos who was kidnapped in December in Basilan’s Isabela City.